Have we all had enough of eBooks yet? Just as we have all pretty much had our fill of eBook technology news, along comes Ray 'Singularity' Kurzweil with a new colour electronic-reader platform called Blio. Kurzweil predicts that the 'singularity' will occur sometime around 2045, which is the point at which machine intelligence will surpass human intelligence. Luckily then, that gives us another 35 years yet to enjoy the world's literature in glorious technicolour on Ray's new Blio reader. Blio is described as a "platform" that could run on any device. 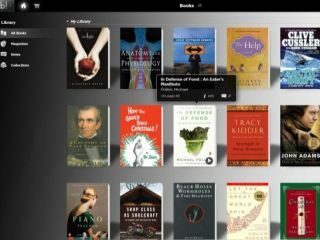 Blio software is free and will be made available at CES 2010 as a download for PCs, iPod Touch and the iPhone. "Everyone who has seen it acknowledges that it is head and shoulders above others," says Kurzweil. "We have high-quality graphics and animated features. Other e-readers are very primitive." Blio will be shown to the crowds at CES in Las Vegas next week. Colour us intrigued. Kurzweil Technologies and the US National Federation of the Blind have launched a joint venture called knfb Reading Technology, which is the company that has created Blio. "We can take a PDF and an audio book and merge the two to get a combination such that you can hear the audio book and see the words highlighted on the PDF at the same time," explains Peter Chapman, an exec at Kurzweil Technologies.